Abhilash writes "I am using phpMyAdmin… so how can I interact with the database?" Hi Abhilash! phpMyAdmin is a great way to interact with your database. It allows you the flexibility of using the interface, or simply using SQL commands directly. Let's take a closer look at how to use it! First navigate to your phpMyAdmin login page. Enter your username and password to access your database. Now that you have logged in, you will see a screen that has all of your database's basic information. From here there are several things you can do. Let's say you want to run a bit of SQL script. On the left hand side of the screen, there are some small buttons. The first button is a home button, then an exit button, and the third is a button that reads SQL. Click on this button. This should prompt a popup window. Now, if you wish to run your code you have two options. Option one is to type or paste in the SQL code directly. The second option is to choose the "Import Files" tab. From here you can import files full of SQL code. Often when you download software they will include files like this to help you install it. Another thing you can do in phpMyAdmin is browse your database. Click on the database name in the left hand column. It should expand to show you a list of tables within your database. You can then click on any of the tables it contains. There are several tabs of options on the top of the right page now. The first option is "Browse". If you select browse, you can view all of the entries in that table of the database. 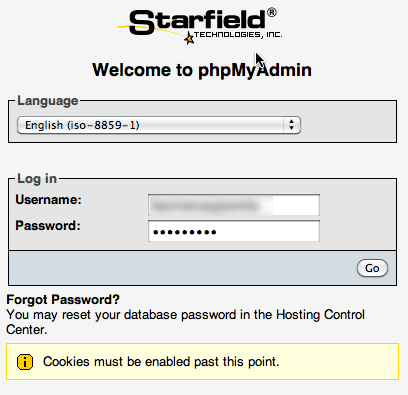 You can edit, or delete entries from this area of phpMyAdmin. It is best not to change data here if you aren't exactly sure what it's doing. Only edit what you understand because once deleted it is irreversible. The next tab is the "Structure" tab. From this table you can view all of the fields within the database table. You can remove or edit the fields from this area too. You can also change the data types here. The third table is the "SQL" tab. This is similar to the pop up SQL window that we discussed earlier in this article. The difference is that when you access it from this tab, it already has some SQL pre-filled in the box pertaining to the table from which you accessed it. The forth tab is the "Search" tab. As it's name implies this is used to search your database, or more particularly the table form which you accessed the tab. If you access the search feature from the main phpMyAdmin screen you can search all of the tables and entries for your entire database. This is a very useful feature, that could be completed using only SQL but for many programmers as well as non-programmers it's nice to have the simple to use interface. The next tab is "Insert" which allows you to add information to your database. It is followed by the "Import" and "Export" buttons. As they imply they are used to import or export data from your database. 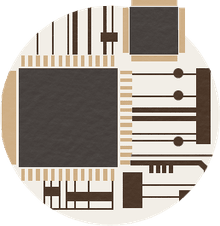 The Export option is particularly useful, as it allows you to make a backup of your database from which you can restore if you ever have an issue. It is a good idea to backup data often! Empty and Drop are both potentially dangerous tabs, so please use them with caution. Many a novice has clicked through these tabs only to have their database disappear into the great unknown. Never delete unless you are absolutely sure it won't break things! Hopefully that gives you some basic ideas of how you can use phpMyAdmin to work with the database on your website.